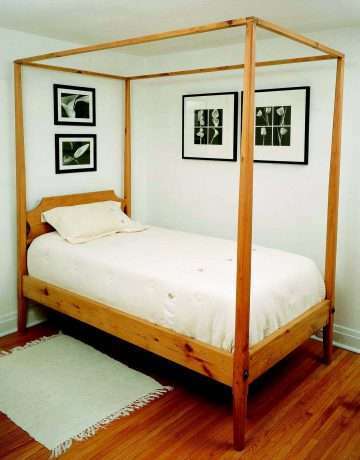 Requires the use of a box spring to support the mattress. While removable, we recommend that the top canopy rails be used at all times, to keep the slim posts from “wandering” if exposed to heat or humidity. Ships in 2 corrugated cartons: Headboard/footboard (59 lbs) and side rails/slats/canopy rails (40 lbs).